We use these basic terms throughout the agreement, and they have specific meanings. You should know what we mean when we use each of the terms. The “Service” refers to the applications, software, products, and services provided by DebugBear. The “Website” refers to DebugBear’s website located at debugbear.com, and all content, services, and products provided by DebugBear at or through the Website. It also refers to DebugBear-owned subdomains of debugbear.com. “DebugBear,” “We,” and “Us” refer to DebugBear Ltd, as well as our affiliates, directors, subsidiaries, contractors, licensors, officers, agents, and employees. An "Account" represents your legal relationship with DebugBear. A “User Account” represents an individual User’s authorization to log in to and use the Service and serves as a User’s identity on DebugBear. You must provide a valid name and email address in order to complete the signup process. For billing purposes you may also be asked to provide a valid company name, company number, VAT number, and place of business. We have a few simple rules for User Accounts on DebugBear's Service. You are responsible for maintaining the security of your Account and password. DebugBear cannot and will not be liable for any loss or damage from your failure to comply with this security obligation. You will promptly notify DebugBear if you become aware of any unauthorized use of, or access to, our Service through your Account, including any unauthorized use of your password or Account. You agree not to reproduce, duplicate, copy, sell, resell or exploit any portion of the Service, use of the Service, or access to the Service without DebugBear's express written permission. Misuse of DebugBear Users' Personal Information is prohibited. If we determine your bandwidth usage to be significantly excessive in relation to other DebugBear customers, we reserve the right to suspend your Account or throttle your file hosting until you can reduce your bandwidth consumption. We have the right (though not the obligation) to refuse or remove any User-Generated Content that, in our sole discretion, violates any DebugBear terms or policies. Because you retain ownership of and responsibility for Your Content, we need you to grant us — and other DebugBear Users — certain legal permissions (laid out below). These license grants apply to Your Content. If you upload Content that already comes with a license granting DebugBear the permissions we need to run our Service, no additional license is required. You understand that you will not receive any payment for any of the rights granted. The licenses you grant to us will end when you remove Your Content from our servers, unless other Users have forked it. To the extent this agreement is not enforceable by applicable law, you grant DebugBear the rights we need to use Your Content without attribution and to make reasonable adaptations of Your Content as necessary to render the Website and provide the Service. Private Content may be accessible through a public URL identifying the content using a hash. Our staff may access your Private Content for support requests and to ensure quality of service. If you believe that content on our website violates your copyright, please contact us by emailing matt@debugbear.com. Our pricing and payment terms are available at debugbear.com/pricing. If you agree to a subscription price, that will remain your price for the duration of the payment term; however, prices are subject to change at the end of a payment term. We will immediately bill you when you upgrade from the free plan to any paying plan. 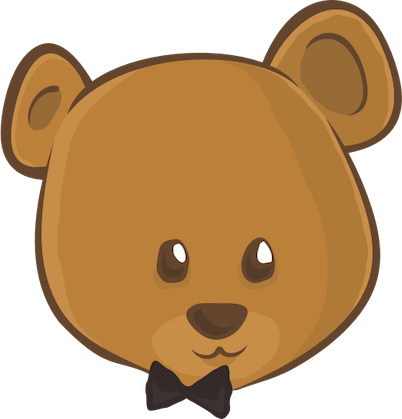 If you change from a monthly billing plan to a yearly billing plan, DebugBear will bill you for a full year at the next monthly billing date. If you upgrade to a higher level of service, we will bill you for the upgraded plan immediately. If you choose to downgrade your Account, you may lose access to Content, features, or capacity of your Account. By agreeing to these Terms, you are giving us permission to charge your on-file credit card, PayPal account, or other approved methods of payment for fees that you authorize for DebugBear. You are responsible for all fees, including taxes, associated with your use of the Service. By using the Service, you agree to pay DebugBear any charge incurred in connection with your use of the Service. If you dispute the matter, contact DebugBear Support. You are responsible for providing us with a valid means of payment for paid Accounts. Free Accounts are not required to provide payment information. It is your responsibility to properly cancel your Account with DebugBear. You can cancel your Account at any time by going into your Account page. DebugBear has the right to suspend or terminate your access to all or any part of the Website at any time, with or without cause, with or without notice, effective immediately. DebugBear reserves the right to refuse service to anyone for any reason at any time. Communications made through email or DebugBear Support's messaging system will not constitute legal notice to DebugBear or any of its officers, employees, agents or representatives in any situation where notice to DebugBear is required by contract or any law or regulation. Legal notice to DebugBear must be in writing and served to DebugBear's registered address. DebugBear provides the Website and the Service “as is” and “as available,” without warranty of any kind. Without limiting this, we expressly disclaim all warranties, whether express, implied or statutory, regarding the Website and the Service including without limitation any warranty of merchantability, fitness for a particular purpose, title, security, accuracy and non-infringement. DebugBear does not warrant that the Service will meet your requirements; that the Service will be uninterrupted, timely, secure, or error-free; that the information provided through the Service is accurate, reliable or correct; that any defects or errors will be corrected; that the Service will be available at any particular time or location; or that the Service is free of viruses or other harmful components. You assume full responsibility and risk of loss resulting from your downloading and/or use of files, information, content or other material obtained from the Service. If you have a dispute with one or more Users, you agree to release DebugBear from any and all claims, demands and damages (actual and consequential) of every kind and nature, known and unknown, arising out of or in any way connected with such disputes. You agree to indemnify us, defend us, and hold us harmless from and against any and all claims, liabilities, and expenses, including attorneys’ fees, arising out of your use of the Website and the Service, including but not limited to your violation of this Agreement, provided that DebugBear (1) promptly gives you written notice of the claim, demand, suit or proceeding; (2) gives you sole control of the defense and settlement of the claim, demand, suit or proceeding (provided that you may not settle any claim, demand, suit or proceeding unless the settlement unconditionally releases DebugBear of all liability); and (3) provides to you all reasonable assistance, at your expense. Except to the extent applicable law provides otherwise, this Agreement between you and DebugBear and any access to or use of the Website or the Service are governed by laws of the United Kingdom. DebugBear may assign or delegate these Terms of Service and/or the DebugBear Privacy Statement, in whole or in part, to any person or entity at any time with or without your consent, including the license grant in Section D.4. You may not assign or delegate any rights or obligations under the Terms of Service or Privacy Statement without our prior written consent, and any unauthorized assignment and delegation by you is void. If any part of this Agreement is held invalid or unenforceable, that portion of the Agreement will be construed to reflect the parties’ original intent. The remaining portions will remain in full force and effect. Any failure on the part of DebugBear to enforce any provision of this Agreement will not be considered a waiver of our right to enforce such provision. Our rights under this Agreement will survive any termination of this Agreement.